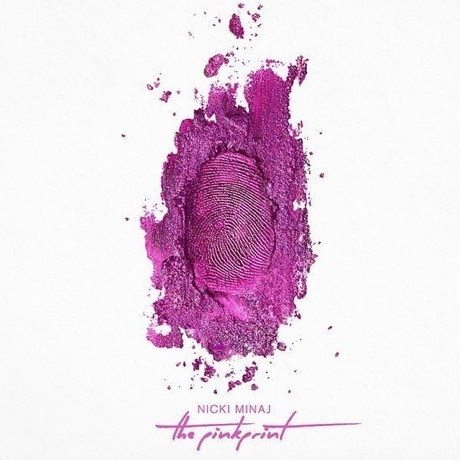 The lead-up to Nicki Minaj's delayed project The Pinkprint has yielded cover art and controversy regarding the Third Reich aesthetics of her "Only" video. Getting a bit more functional with the pre-album promo, Minaj has now let loose the guests-loaded tracklisting. Today (December 1), the rapper revealed the info on the deluxe edition of the LP, due December 15 on Young Money/Cash Money/Republic. In an Instagram post, it can be seen that the extended set features 19 new cuts overall. This includes the Drake- and Lil Wayne-assisted "Only," her "Bed of Lies" single with Skylar Grey, and "Anaconda." The tracklisting also shows that Beyoncé appears on "Feeling Myself," young pop star Ariana Grande lends her pipes to "Get on Your Knees," and Jeremih hops on "Favorite." Maybach Music Group rapper Meek Mill pays Nicki back for her appearance on "I Be on That" by popping up on The Pinkprint's "Buy a Heart" and "Big Daddy." You'll find all of the info for the deluxe edition of The Pinkprint down below.